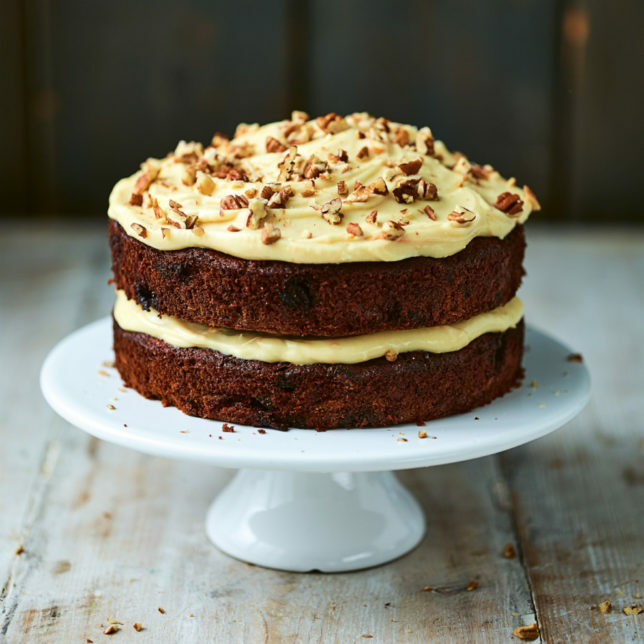 Here’s a recipe from the Jim Beam Bourbon Cookbook for a decadent fruity carrot cake, with bourbon in both the batter and the icing. You have to go all-in and use full-fat cream cheese here – low-fat won’t work. This delicious cake will be eaten in no time, but if you do have any leftovers, keep them refrigerated so the icing stays fresh. The icing quantity here gives enough to fill and top the cake. If you want to cover the sides as well, increase the quantities by half again. This cake serves 8 to 10 people. 1. To make the cake, pour the bourbon into a small saucepan and add the sultanas. Heat gently, without allowing the liquid to come to the boil, for 5 minutes. Set aside to cool. 2. Preheat the oven to 200ºC/180ºC fan/Gas Mark 6. Line the bases of 2 x 20-cm (8-inch) round cake tins with non-stick baking paper. 3. Sift the flour, baking powder and cinnamon into a large mixing bowl. Mix in the salt, sugar, carrots, nuts and roughly two-thirds of the orange zest (reserve the rest for the icing). Add the oil, eggs and soaked sultanas, along with any bourbon left in the pan, and mix thoroughly. 4. Divide the mixture equally between the prepared cake tins and gently smooththe surfaces. Bake for 25–30 minutes, until risen and a skewer inserted in the centre of each cake comes out clean. Leave to cool in the tins for 5 minutes, then turn out the cakes onto a wire rack and leave to cool completely. 6. When the cakes are completely cold, place one cake layer on a cake board or serving plate and top with half the icing. Level out the icing until it is spread evenly across the surface of the cake. Align the second cake layer on top, then top with the remaining icing, again, smoothing it out to an even thickness. 7. Chop the pecan nuts and scatter over the cake to finish. 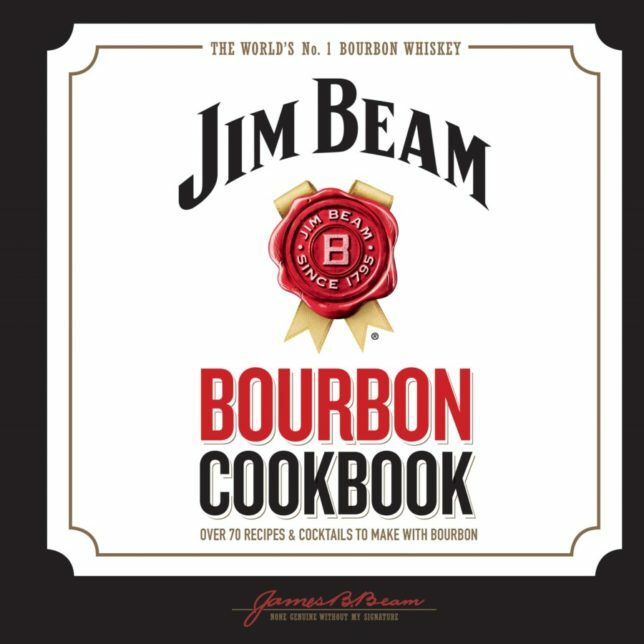 The Jim Beam Bourbon Cookbook is the perfect book for any bourbon fan. It contains more than 70 delicious, easy-to-make recipes, all using the world’s no.1 bourbon to bring a whiskey-flavoured twist to your favourite meals and drinks. Recipes range from Bourbon Baby Back Ribs and the ultimate Kentucky Quarter Pounder burger to Bourbon Chocolate Truffles and a creamy New York cheesecake – all infused with the classic taste of Jim Beam bourbon. Also featuring a collection of time-honoured cocktails, from an old fashioned to a whiskey sour, with a few new favourites thrown in as well, this is the ultimate guide to enjoying the flavour of bourbon. Jim Beam is the no.1 bourbon in the world and an American institution. 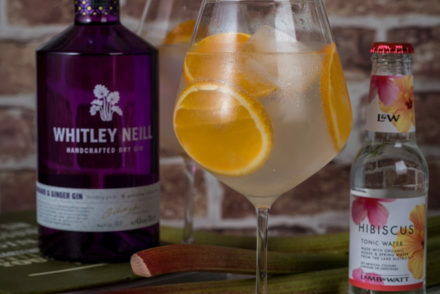 Made by seven generations of the same family for more than 200 years using a secret recipe, it’s aged for twice as long as the law requires for a fuller, smoother flavour.